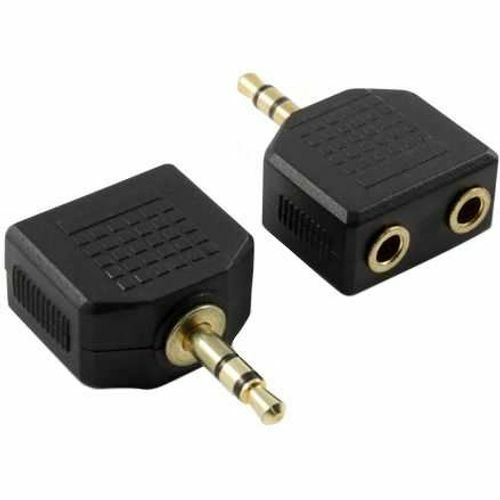 This 3.5mm adapter splits the audio signal from your iPod, MP3 Player, Portable CD players, Computer or any audio device with the 3.5mm stereo jack to two headphones or multiple speakers. Simply connectting one end of cable into the mini-stereo jacks of your portable audio component, and the other to your existing two headphones, you and your friends can enjoy the music at the same time. Output: 3.5mm female x 2.